Snow Days - how did we do? Registration for Shoreline Goodwill’s free classes in computers, cashiering and English begins December 13 at Shoreline Goodwill’s Job Training and Education Center located at 14500 15th Ave NE. 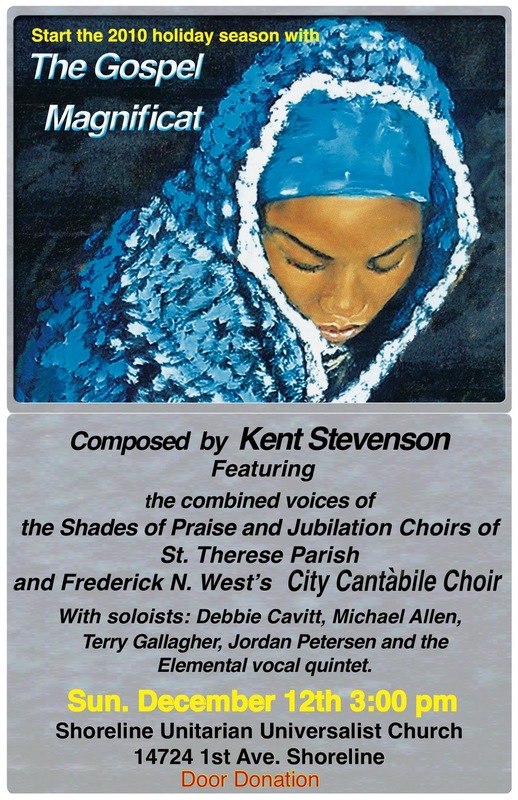 The eight week session runs from January 3 through February 24, 2011. The center has added additional classes in basic computers and English, but expects them to fill up fast. All English classes: December 22 at 2 pm and December 29 at 11 am. (it is possible to register for English classes outside of these times. Contact the center directly for more information). English for Speakers of Other Languages (ESOL) – These include basic and intermediate courses designed to accommodate a wide range of English skills. Basic Computer Classes – Introductory courses for people with little or no computer experience. Computer Fundamentals: Mondays and Wednesdays from 10:30 am to 12 pm or Tuesdays and Thursdays from 1 to 2:30 pm. Microsoft Word: Tuesdays and Thursdays from 10:30 am to 12 pm. Microsoft Excel: Mondays and Wednesdays from 1 to 2:30 pm. Cashiering and Customer Service – Mondays and Wednesdays from 2:30 to 4 pm. Career Building Assistance – On Mondays and Wednesdays from 9 to 10 am, instructors can help people with job searches, resume and cover letter writing, interview practice and more. On Friday, November 26, the Federal Drug Enforcement Administration Oxycontin Task Force and the Shoreline Police Special Emphasis Team served a narcotics search warrant at a residence in the 16200 block of 10th Ave NE. Special Agents/detectives arrested the suspect on several federal firearms and narcotics violations. The suspect in this case has multiple felony convictions and does have gang affiliations. When agents served the search warrant there were three large Pit Bulls and a Rottweiler at the home. Following the search of the residence, agents recovered suspected Oxycontin, cocaine and a firearm. According to the United States Attorney’s Office, if convicted, the suspect is facing a 20 year prison term. Detective Mitch Wright of the Shoreline Police Special Emphasis Team is currently assigned to the DEA Oxycontin Task Force. Oxycontin has become one of the most widely abused narcotics and is a popular drug with not only adults but with youth as well. The holiday season is a time for family, friends and celebration. Make sure this is a happy season for all by putting safety at the top of your list. The Northshore Fire Department offers the following holiday safety tips, and urges the practice of fire safety all year long. Start with a fresh tree. Cut one yourself, or if buying from a lot select a deep‐green tree with flexible needles. Grab the branches; if the needles fall off in your hands the tree is too dry. Make a fresh cut. Upon getting home, cut 1 to 2” off the trunk and immediately place in water. Once the tree is placed in a stand in your home, continue to water DAILY. 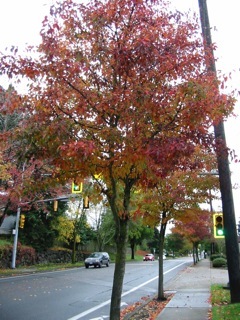 Most trees consume between a quart and a gallon of water each day. Use your decorations carefully. Decorate your tree with UL‐approved, miniature lights – they produce less heat. Don’t overload electrical sockets and always unplug lights before going to bed or leaving your home. Recycle your tree properly. 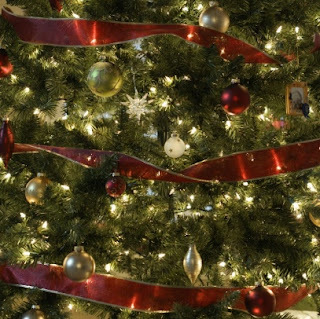 Periodically check your tree for freshness by grabbing the branches. If the needles fall off in your hand, your tree is dry and should be disposed of soon. When it’s time to dispose of your tree, NEVER burn it in a fireplace. The combination of oil, pitch and dry branches can ignite within seconds, sending sparks and flames into a room. Candles in Your Home Place your candles in a non‐flammable, well‐supported base. Keep candles away from flammable decorations such as evergreen boughs, gift wrap and holiday stockings. Never leave burning candles unattended. Extinguish them before leaving the house or going to bed. Also keep in mind that pets, especially cats, have been known to knock over candles. Gift Wrapping and Boxes Make sure that wrapped packages are kept away from fireplaces and woodstoves. Discard boxes and wrapping paper in a garbage container or recycle if possible. Do not burn wrapping paper in a fireplace. Make a home fire escape plan and practice it. Install smoke alarms on every level of your home and in the sleeping areas. Test smoke alarms and carbon monoxide detectors monthly. The Northshore Fire Department wishes you a warm and safe holiday season. For more holiday safety tips, visit the website. 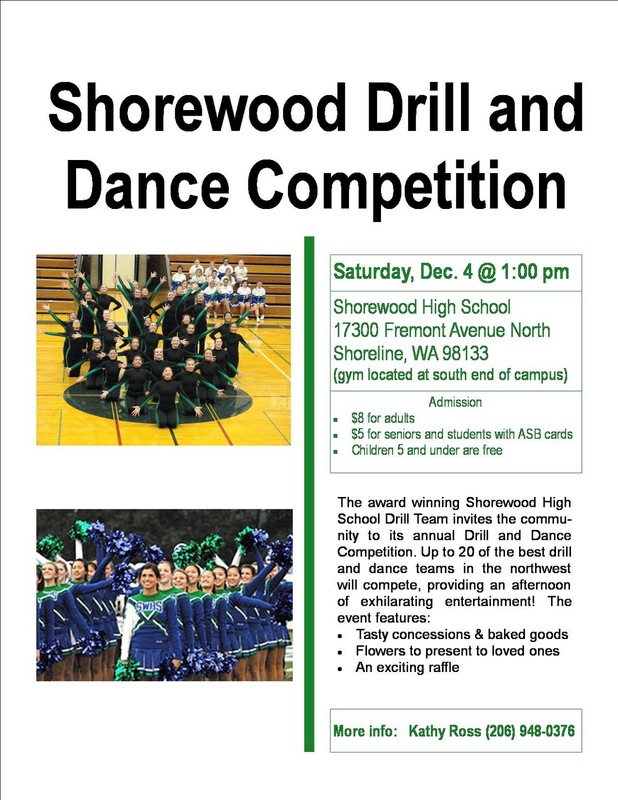 Shorecrest, Shorewood, Nathan Hale at Bainbridge, 6 p.m.
Shorecrest, Bainbridge, Nathan Hale at Shorewood, 6 p.m.
Shoreline Cup/Sub Regional Shorewood, 6 p.m. The state’s continued economic downturn means Shoreline Community College employees will learn over the next 10 days whether their positions will be cut in the next round of state-mandated budget reductions. “It just gets worse and worse and worse,” Shoreline President Lee Lambert said November 30, at a brown-bag meeting on campus. The announcement was triggered by the November 19 state revenue forecast and Gov. Chris Gregoire’s statement that another 4.6 percent, about $1 million to the college, must be cut in the current budget year that ends June 30, 2011. Lambert said cuts will hit all areas of college employees; classified, faculty and administrators. Lambert said the college has started the processes required by labor contracts to notify employees. “We’ll notify the classified union immediately,” Lambert said, adding that faculty representatives have also been notified. Administrators, who are not unionized, will be told individually, he said. Lambert didn’t say on Tuesday which positions or how many would be identified for layoff or reduction-in-force, but that details would be available soon. “I hope to present a plan with at least the numbers of positions affected on December 10,” Lambert said. An all-campus meeting is scheduled for 12:30-2 p.m. that day in the PUB main dining room. The process for layoff or RIF is outlined by contract and differs for each group. For example, seniority “bumping” rights come into play for classified employees. The classified contract is negotiated at the state level and offers the college less flexibility, he said. Position reductions for faculty members, who are represented locally, could be affected by retirements and other factors. The free business start-up lunch-time seminar on Tuesday, November 30, will have a guest speaker who is an expert in loss prevention. At the Tuesday session he will discuss "Tips for Avoiding the 'Hidden' Expense: How to Reduce/Eliminate Employee Theft – Beyond Pens and Pencils." Anyone can participate. The sessions are aimed at people who are starting businesses. They are held from 12:00 - 1:30 pm Tuesday at Shoreline City Hall, 17500 Midvale Ave N, Shoreline 98133. There is no charge thanks to sponsors, but participants should bring their own lunch. Are you concerned about employee theft? You have good reason. Bankers, financial consultants and assistant district attorneys agree that internal employee theft or embezzlement is an increasingly frequent and costly problem facing today's small business community. Employees helping themselves to company funds cost U.S. businesses about $550 billion annually, according to a recent report from the Association of Certified Fraud Examiners. The report also revealed that more than 46 percent of all workplace fraud happens to small businesses with fewer than 100 employees. The U.S. Department of Justice estimates that employee theft is growing by as much as 15 percent each year. One-third of all business bankruptcies are due to employee theft, according to the U.S. Chamber of Commerce. The average business loses 6 percent of its annual revenue to fraud and abuses by employees, according to the American Management Association. Founder of Northwest Loss Prevention Consultants, Doug Rector has over fifteen years in the retail field of loss prevention. Doug started Northwest Loss Prevention to help smaller businesses that didn't have a loss prevention department recognize the need of “proactive” loss prevention (prevent loss before it occurs). Along with consulting small businesses in the area of loss prevention, NWLPC also offers mystery shopping services, and has just added pre-employment background checks. Doug has recently completed the Private Investigation Certificate program at the University of Washington and he is licensed by the state of Washington as a Private Investigator. Doug also teaches mystery shopping classes at Renton Technical College in Renton, WA and is an active member of the Mystery Shopping Providers Association, Greater Seattle Chamber of Commerce, Business Network International (BNI), the Oregon and Washington Restaurant Association and the Washington Association of Legal Investigators (WALI). This event will be facilitated by Sandy Bjorgen of Improv-able Results. Check the Community Calendar to confirm workshops, study groups and special events. A list of scheduled sessions is available in our previous article on the topic. Boomer has been missing since Nov 26 in the vicinity of 204th and Richmond Beach Road NW. He is a large dog, about 100 pounds, with long, thick, black coat with white coloring on his paws and chest. He's a Golden Retriever-Border Collie mix. Built like a Golden but Border Collie coloring. Boomer is friendly and answers to his name. He was wearing a black collar but he recently lost his tags and was not microchipped. 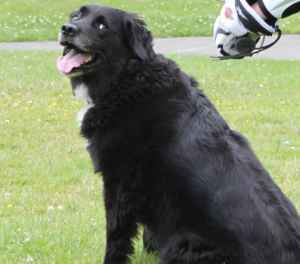 He lives in Snohomish County and was visiting Richmond Beach with his owners. If you have seen Boomer, please call 206-778-8846. He is a treasured family pet. For me, the fun of genealogy comes in getting to play detective. I love being presented with a new challenge or mystery to solve. When I first began gathering information, I decided it was just for fun, no big deal whether I knew what my source for a particular fact was. I did not consistently record where that information came from. Bad idea. 20 years later, I still look at my genealogy database and wonder why I know what my fourth great grandparents’ marriage date was. You need to record the source of information for each fact you find. Yeah, you just do. Here are a few reasons. First, if you put down your genealogy research for a while and then pick it up again, you may not remember where you left off. Second, if you share information with other researchers or family, your credibility as a good researcher goes up hugely if you have citations attached to your work. Third, if you ever decide to publish what you find, you will need to have the citations in your work. There are two basic kinds of sources, primary and secondary. Primary records are created at the time of the event, by someone who witnessed it or had personal knowledge of the event. Examples are birth certificates, marriage certificates or a university diploma. A secondary source was created a time other than when an event occurred. This could include books of compiled primary records, a letter mentioning the grandparents’ marriage date, a military pension stating a birth date. Even the birth date on a death certificate can be a secondary source, depending on the informant. Regardless of where you obtain your information, document your sources. I like to document it so that a stranger could look at my citation and go right to the source. Check CyndisList under "Citing Sources" for help. Also, one slim, but extremely helpful book is Elizabeth Shown Mills’ Evidence! Citation and Analysis for the Family Historian. This book was published before the internet was a real factor in research, but you will find it immensely helpful. 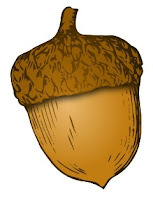 2-Genealogy - are you nuts? The Shoreline-Lake Forest Park Arts Council is looking for performers for the 21st annual Shoreline Arts Festival to be held June 25 and 26, 2011. Performer applications can be found online. The deadline is February 15. The Council wants to bring in more community based entertainment and would like to have as many local cultural groups represented as possible, especially those based in or near Shoreline and Lake Forest Park. Storytelling, drama, poetry, dance, music and other disciplines are encouraged. For more information, call the Arts Council Office at 206-417-4645. 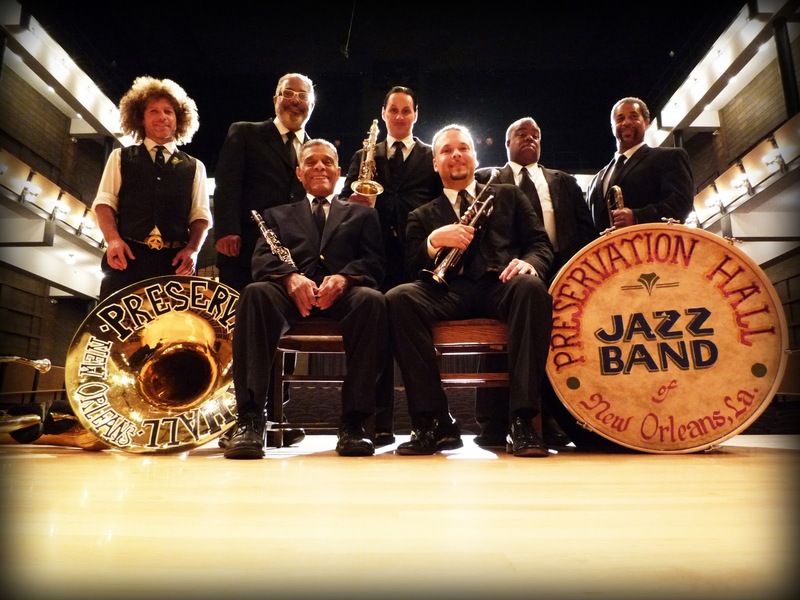 Treat yourself to a New Orleans holiday tradition in Edmonds, as Preservation Hall Jazz Band brings their “Creole Christmas” show to Edmonds Center for the Arts on Thursday December 2 at 7:30 pm. Tickets are $15-$35 and are available online or by phone (425) 275-9595. 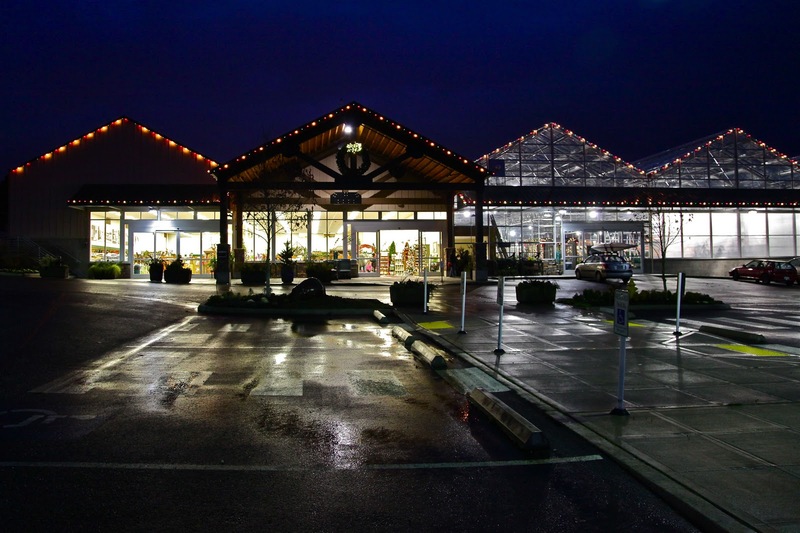 The Center is located at 410 Fourth Ave N in Edmonds 98020. Edmonds Center for the Arts is located in picturesque downtown Edmonds, Washington. Housed in the historic original Edmonds High School building, ECA was remodeled and opened in October 2006 to be a cultural resource for the Puget Sound region through performing arts presentations, community partnerships and education outreach programs. The Shoreline-LFP Senior Center Holiday Bazaar was very successful this year, and exceeded our expectations. The weather seemed to hold up this year, and hundreds of people attended. We want to thank all the wonderful volunteers and vendors that support the bazaar. As always, the bake sale had many tasty items and the handcrafters table was full of beautiful handmade garments. The Silent Auction had over 90 items that were donated by local businesses and Senior Center participants. The food provided both Friday and Saturday was outstanding and people were standing in line to buy the sandwich sold by the inch and the fresh made soup, salads and pies. As always, the rummage sale was very popular and the Thrift Shop had several of their lovely items on sale. Judy Bingham, a Shoreline resident, won the quilt raffle. 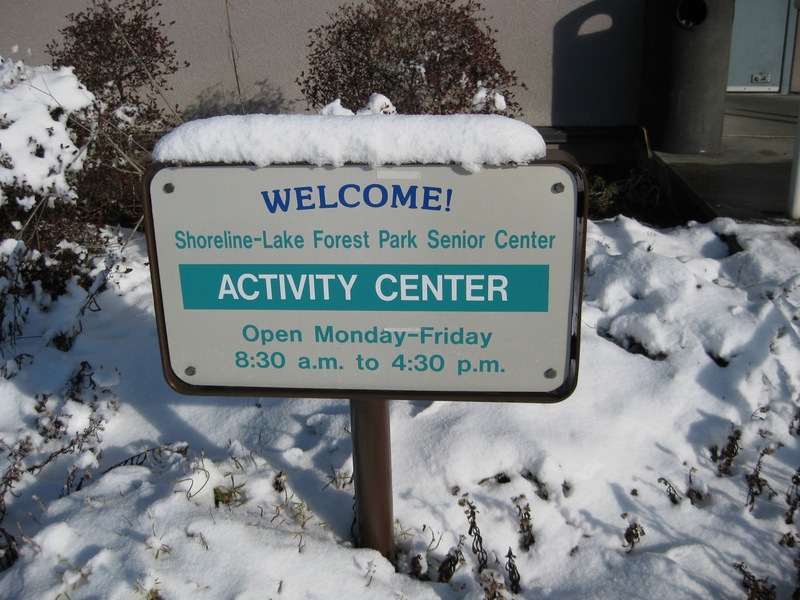 It is that time once again to join the Shoreline-Lake Forest Park Senior Center. The membership is only $25 per individual or $40 for a couple. For many of the activities offered there is a different fee for a member or a non-member. You will be asked to show your membership card in order to receive the member prices. We thank our participants for supporting the Senior Center by becoming a member. We are working hard so that we can continue to serve you well. Remember all memberships run from January through December. Meals are open to the public. Serving starts at 11:45 am. Arrive at 11:30 am to purchase your ticket. $3 donation for seniors over 60, $6 charge for those under 60. No pre-registration unless noted. The special Heritage Meal on December 6 will be a Jewish Heritage Meal. Beet Borscht Soup, Beef Brisket, Potato Latkes with Applesauce, Vodka Orange Glazed Carrots, Challah (Egg Bread) and Cheese Blintzes. The Chef Janice Cooking Classes are very popular. All the participants are learning new ways to prepare food. The only class to be held in December will be Wednesday, December 8 at 1:30 to 3:30 pm. In December you will be making fun Holiday cookies. Fee: Members $5, Non-Members $7. Sign up at the front desk. Come and join the Center Staff for a Holiday Meal on December 20. Smoked Pit Ham w/Cranberry and Pineapple Glaze, Candied Yams, Peas with Pearl Onions, Roll with Butter, Branded Mincemeat Pie. Pre-reservations are required and as of this writing there are 20 spaces remaining at the table. The November Karaoke/BINGO was a lot of fun. We had several participants from the Greenwood Karaoke/BINGO join us. The next Karaoke/BINGO will be on January 14. The Shoreline Lake Forest Park Senior Center provides a free lunch for current members celebrating their birthday. Entertainment, birthday cake and prizes are part of the fun. The Birthday lunch meal will be: stuffed pasta shells, rolled stuffed steak, marinated veggie, salad, breadsticks, Tiramisu birthday cake. On December 16 Melanie Gransfors, Public Information Officer for the Shoreline Fire Department, will be at the Senior Center during the lunch hour. She will be providing advice and inform you what you will need if the winter weather is really as bad as predicted. An ounce of prevention is worth a pound of cure, so they say. Find out what you need to prepare for any kind of situation where you may be on your own for three days or more. On sale at the Senior Center for only $25 each. Are you aware that the Shoreline Lake Forest Park Senior Center has a Social Worker available on Tuesdays and Wednesdays? Scott Theisen is available to consult with people, and facilitates several of our Life Skills and Support Groups. Life’s Transitions: Tuesdays, 1 to 2:30 pm. Diabetes support group: Third Thursday of each month, 9:45 to 10:45 am. This is an open group, facilitated by Scott Theisen. Parkinson’s Group: Fourth Tuesday of each month, 11:30 am to 12:30 pm. Open Group facilitated by Scott Theisen. Stroke and Heart Group: Second Tuesdays, 11 am to 12 pm. Group discussion with Scott Theisen as the facilitator. Caregiver’s Support Group: Second Thursday of each month 12:30 to 1:30 pm. Shorecrest at Kamiak, 3 p.m.
Shorewood at Marysville-Pilchuck, 3 p.m.
District 1 diving qualification meet, 10 a.m. at Mariner H.S. 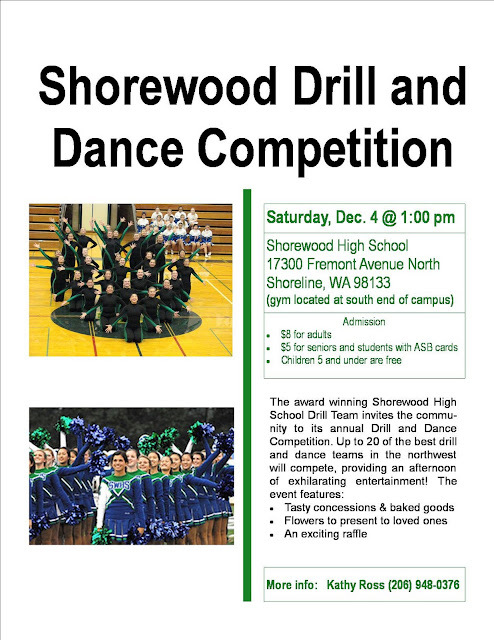 Shorewood at Jackson, 2:30 p.m.
Shorecrest at Jackson, 2:30 p.m.
Snohomish at Shorewood, 3:30 p.m.
Glacier Peak at Shorewood, 3:30 p.m.
Shorecrest at Lake Stevens, 3:15 p.m.
Shorecrest at Oak Harbor, 6 p.m.
Edmonds-Woodway at Shorewood, 3:30 p.m.
Mountlake Terrace at Shorewood, 3:30 p.m.
Shorewood at Kamiak, 3 p.m.
We at the ShorelineAreaNews are pleased that so many of you came to us for snow information on Monday and Tuesday. How did we do? Did you find what you wanted? It appears that this will not be the only heavy weather incident this season, so we'd like to be ready for the next one. What can we do to improve snow coverage? What would you like to see us add? Is there anyone in the known universe who doesn't know the plot of Annie? The Driftwood Players in Edmonds are offering this up-beat favorite through December 19 at the Wade James Theatre on 950 Main Street in Edmonds. 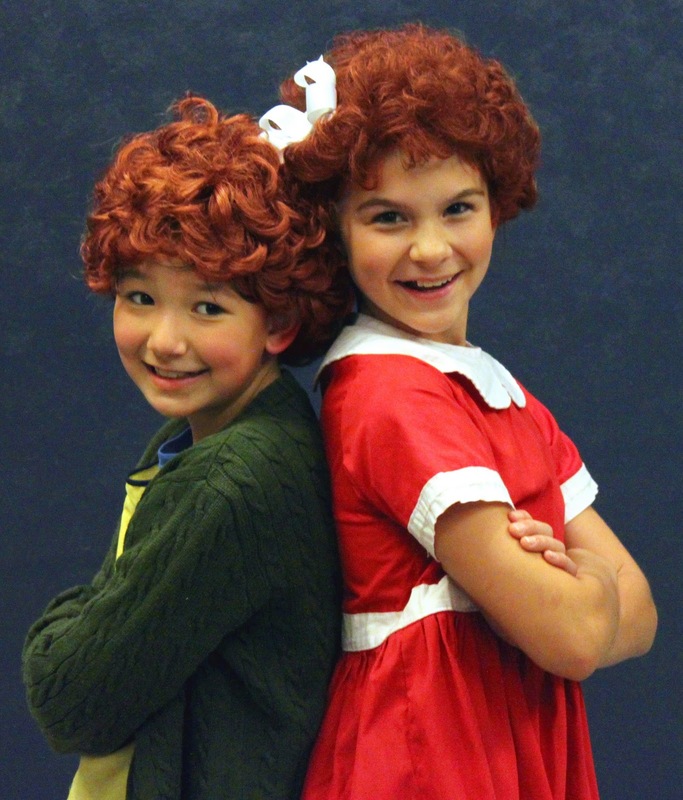 Photo: Emily Rudoph and Lauren Carlos both play the title role in the Driftwood Players production of "Annie". Photo by Wendy Enden, Laughing Tabby Photography, courtesy Driftwood Players. and realize that the sun will come out, tomorrow. See it anew with your whole family before it sells out! Actually, some performances have already sold out, but these still have seats available and you can buy tickets on-line. MainStage prices are $23 for General, $20 for Jr (18 & under); Senior (60+) and Military (with ID / In uniform), Call for group pricing. Martin Charnin. Courtesy Driftwood Players. If you have never been to a talk-back, they can be a lot of fun. Everyone stays after the performance and people involved with the production, sometimes the actors, or the director, come sit on the stage and talk about the production and answer the audience questions. Driftwood has scored a biggie for their scheduled talk-backs on December 4 and December 11, Martin Charnin, creator and first director of the hit-musical "Annie." 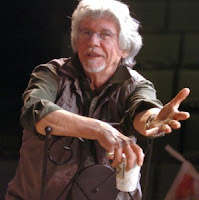 "Martin Charnin is an American theatre director, lyricist, and composer. He started his Broadway career as one of the Jets in the musical "West Side Story." Perhaps his best-known work is as creator, lyricist and director on the musical "Annie," the show that inspired countless young people to get involved in theater. His Tony award-winning Broadway production of Annie celebrated its twentieth anniversary in 1997 with a return to Broadway. He subsequently directed the national tour." The Shoreline Christian High School boys’ soccer team reached the State Class B soccer finals, losing 2-1 in overtime to Providence Classical Christian in the championship game Sept. 20 as Sunset Chev Stadium in Sumner. Travis Hudson of Shoreline Christian scored the first goal of the game with an assist from Taejoon Hwang, but Providence Classical tied the game near the end and won in overtime. Shoreline Christian had reached the final by defeating Riverside Christian 1-0 in another overtime game in the semifinals a day earlier. Keith Jacobs scored the winning goal. Goal keeper Calvin Bauman had the shutout. Shoreline Christian finished the season with a 14-8 record, after going 7-2 in Northwest B League play. Shoreline's New Hope Seattle Church, at 19350 Firlands Way N, in the Hillwood Neighborhood, may be the only church in the area with a public coffee house. The Blu Café is a volunteer-run, donation-based coffee shop on Firlands Way N, across Aurora from the new YMCA. 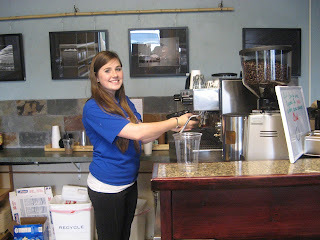 Blu Café is tucked away in the back of New Hope Seattle Church and Community Center, with parking right by the door. It is open three days a week, Tuesday – Thursday, 9 am to 5 pm, and serves a full menu of hot and cold coffee and tea as well as assorted bagels and pastries. 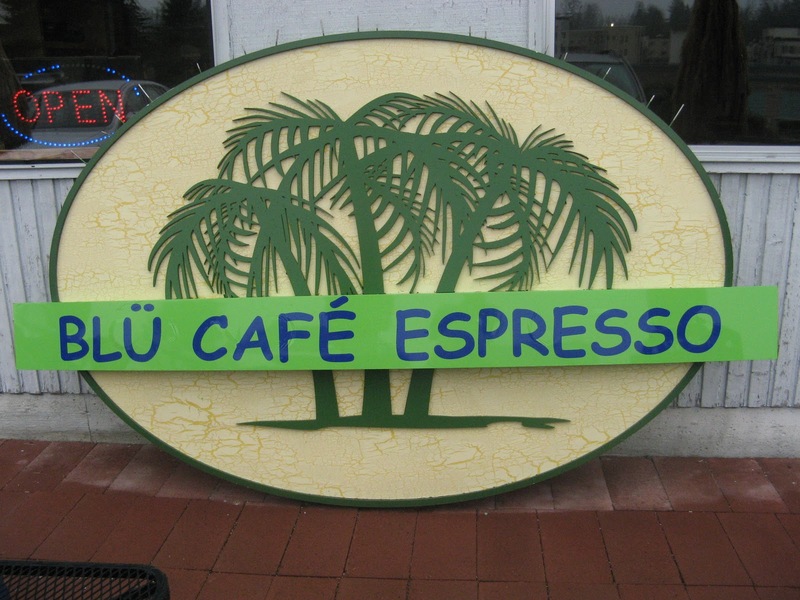 The Café includes free wifi and plenty of tables and chairs for small business meetings or casual gatherings. This community space is kid-friendly, with alcove of toddler toys. Check it out for a bright, warm place to get out of the house with kids in tow. 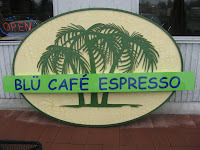 The Blu Café is a community project of New Hope Seattle Church, located at 19350 Firlands Way North. From Firlands Way North, look for the New Hope sign, turn east into the driveway and proceed to the back parking lot overlooking Aurora. Gardening With Jennifer: Autumn Leaves: Nuisance or Gold Mine? Now that we’ve all survived what appears to be the new annual tradition of a couple inches of snow followed by a hard freeze for the Thanksgiving Holiday, I’m reminded of our love-hate relationship with leaves. Every year, as I lament the dwindling days of Summer, I’m comforted by the thought of the changing Autumn leaves in all their splendor. The Vine Maples go first, quickly followed by all the others in their genus, with beautiful displays of orange and red, the Raywood Flame Ashes and the Sweet Gum trees seem to redefine the definition of purple into something that would put most Plum trees to shame, and the stately Ginkgo (if you’re a tree lover, like I am, then you probably know of a Ginkgo in your neighborhood and make it a point to admire it on a regular basis) with its sturdy horizontal branches seems to come alive in the Autumn with a display of bright yellow that can only be compared with the sun. And if all of that beauty is not enough, these incredibly tinted leaves then fall to the ground temporarily turning our sidewalks, lawns, parks, and favorite wooded trails into a kaleidoscope of luminosity at our feet. What’s not to love! Ah, but as the weeks pass, and Halloween comes and goes, we’re gradually reminded that this brilliant display served a greater purpose beyond our own delight. The shorter days, the cooler temperatures are sending clear signals to all our beloved trees that its time once again to rein in their activity for the season. The process of photosynthesis slows as energy is pulled back down into the roots, and we face the fact that those luminescent leaf colors are simply the inevitable and wondrous result of leaf senescence. In no time at all the very same leaves we revered are reduced to lumps of dull brown plant matter littering our public spaces and clogging up our gutters. So, out come the rakes and leaf blowers! Luckily, we live in a city with a wonderful system that recycles our yard waste into compost, so if all you do is send your leaves through that system, its really ok. But why buy back (in the form of Cedar Grove Compost) what you’re paying to have hauled away? Most leaves break down into a wonderful compost that your garden soil (and beneficial micro-organisms) will reward you for next Spring. 1. Remove leaves from around storm drains - this sounds simple enough, but every year our city experiences flooding on neighborhood streets and intersections caused by leaves clogging the drains. 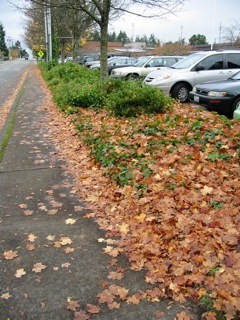 I’ve always made it a point to monitor the storm drains immediately around wherever I’m living for leaf accumulation. 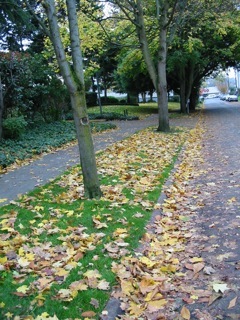 Five or ten quick minutes spent raking leaves away from a drain can avoid big headaches later. 2. Rake up Broadleaf Evergreen leaves - broadleaf evergreen plants, such as Rhododendrons, Azaleas, Camellias, Evergreen Magnolias, etc., have thick waxy leaves that are designed to for “staying power” and don’t break down readily into mulch. If they drop their leaves, I recommend raking them up and sending them on through the city’s yard waste system. I include Oak leaves in this category as well. Even though the Oak tree is deciduous, it dislikes competition and produces a chemical through its leaves that slows the decomposition process. This keeps the leaves around longer and smothers plants underneath. 3. Always rake up the leaves of fruit trees - fruit trees stand in a class of their own and need good hygiene to be maintained in order to avoid (or at least minimize) the pests and diseases they tend to accumulate in the Northwest. Fruit tree leaves left to mulch on the ground around that tree provide a nice winter home for pests or bacteria specific to it. Additionally, fruit trees suffering from any fungal problems - as is common in our Northwest climate - can be continuously re-infected by the fungal spores left to rot on the ground or in the backyard compost. I prefer to send my apple tree leaves through to the city’s yard waste system each fall. 4. Watch out for leaf accumulation on shade INTOLERANT shrubs - you know those shrubs that thrive so much on sun that they shade out their own inner branches? Be it a Nest Spruce or a Ceanothus, you know if you have a sun-needy shrub or small tree. Make sure to clean leaves off these plants regularly or else you end up with large, unsightly dead patches all over them. I include lawn (and any other sun-loving ground cover) in this category. I would rake deciduous leaves off the lawn and either directly onto the garden bed or into a composting system. 5. Chop up large leaves into smaller pieces - most deciduous leaves make great composting material - especially when they’re fairly small in size. In general, the smaller the leaf, the greater the surface area, and the quicker the decomposition process. If you are graced with a Big Leaf Maple tree on or near your property, and would like to make use of the incredible volume of resulting biomass each Autumn, run the lawn mower over the leaves first, then spread them directly over your garden beds. Autumn leaf color may be the highlight of the season for us, but once they fall to the ground, those leaves serve a critical role in a nutrient cycle that has cared for the health of the soil and plants we enjoy since before our time on this earth. With a little assistance, that process can continue well beyond our time. I think its the least we can do as a gesture of gratitude in exchange for this annual display of light and color, don’t you? Jennifer Rotermund is the Lead Gardener for Garden of Weedin’ (a local pesticide-free garden maintenance company), owner of Gaiaceous Gardens (an edible landscaping business with a teaching garden/urban farm and certified wildlife habitat located in Shoreline) and a Habitat Steward. 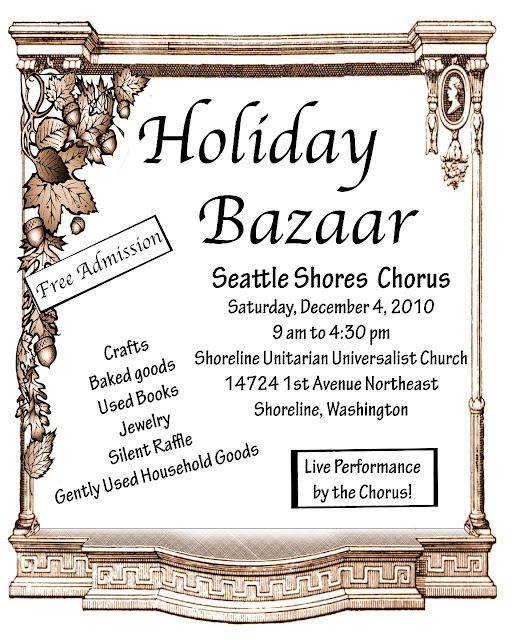 The Seattle Shores singing group, a local chapter of the Sweet Adelines, is holding a holiday bazaar this Saturday, December 4, at the Shoreline Unitarian Universalist Church, 14724 1st Ave NE, from 9 am to 4:30 pm. The event will feature crafts, baked goods, used books, jewelry, gently used household goods and performances by the singing group. See previous story. King County released final, certified figures on Shoreline Proposition 1, Basic Public Safety, Parks and Recreation, and Community Services Maintenance and Operation Levy. It required a majority vote of 50% plus 1 to pass and received 56.49%. King County has counted its votes and certified its election. The Shoreline District court judges will continue to be Douglas J. Smith and Marcine Anderson. The District Court serves the cities of Shoreline and Kenmore (Lake Forest Park has its own court). The Court processes over 21,000 cases a year, including some filed by the University of Washington Police, the Washington State Patrol, the King County Sheriff, and Sound Transit. The Court is located at 18050 Meridian Ave N in a building named for Shoreline resident, Judge Robert A. Wacker, who served as Judge in Position #2 until his death in 2003.